what beard combs do you like? I'm in the market for one as the cheap comb I have tends to pull and split my hairs. I know nothing about beard combs but they seem inexpensive enough to try both. (06-16-2015, 04:13 PM)Freddy Wrote: I know nothing about beard combs but they seem inexpensive enough to try both. I picked up the 2nd comb. The Kent 81T is quite small for a beard, I use one for my mustache. It's a great comb but you're likely better off how you've chosen. How do you like it? (09-03-2015, 09:24 PM)TheHandleBar Wrote: The Kent 81T is quite small for a beard, I use one for my mustache. 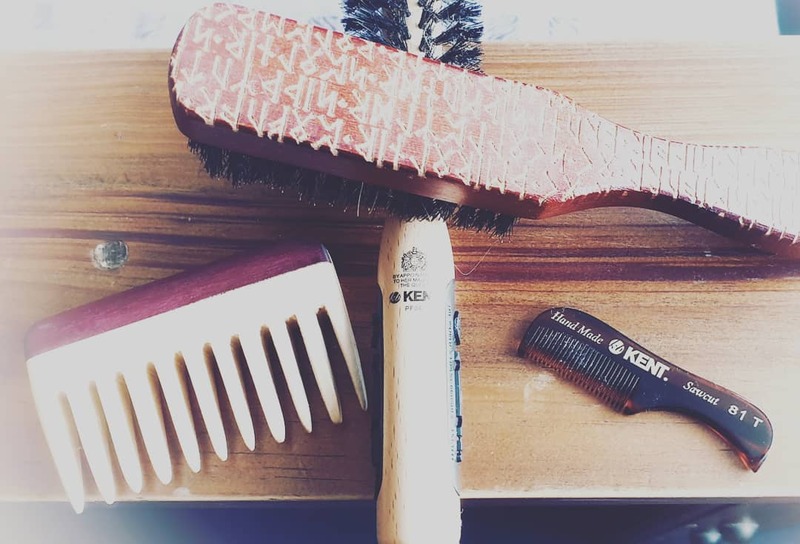 It's a great comb but you're likely better off how you've chosen. How do you like it? it's not bad, but it would still tug on my beard hairs from time to time. not a huge fan of the scent the comb has either. I guess it's a 'natural' scent from the wood itself, but I'm not sure. with that in mind though, I've trimmed my beard down considerably since I started this thread to the point where I don't really need to comb it. Ahh, then it's a brush you need! possibly, but it's short enough now that it doesn't seem to need any brushing...I try to trim it up every 2-3 weeks when I get my hair cut.